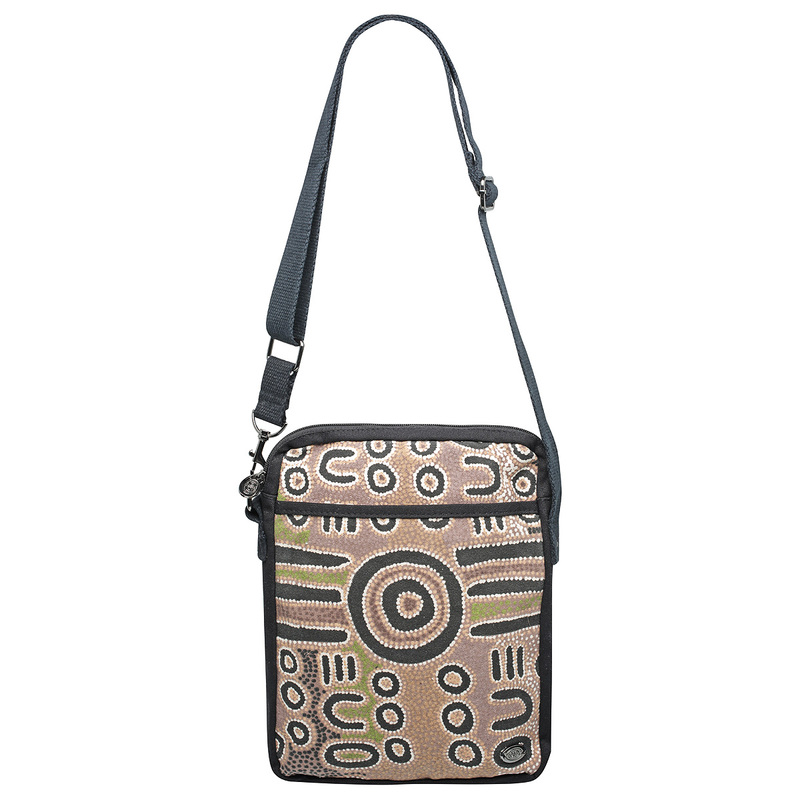 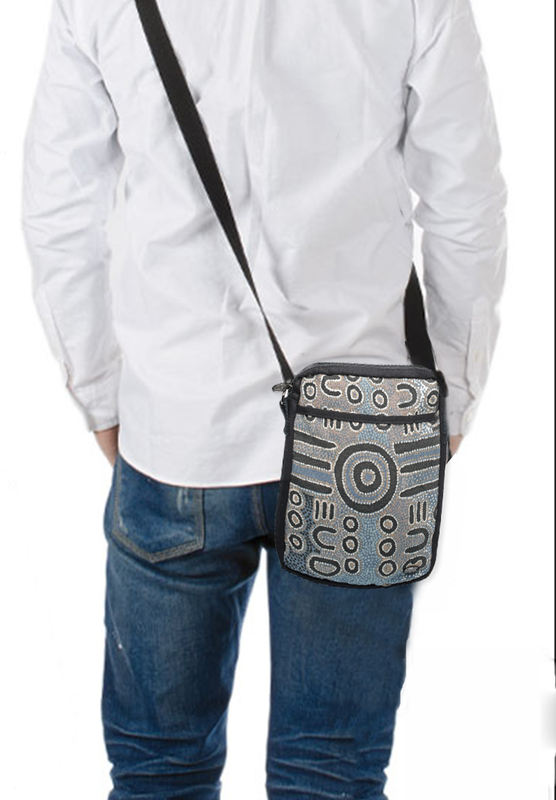 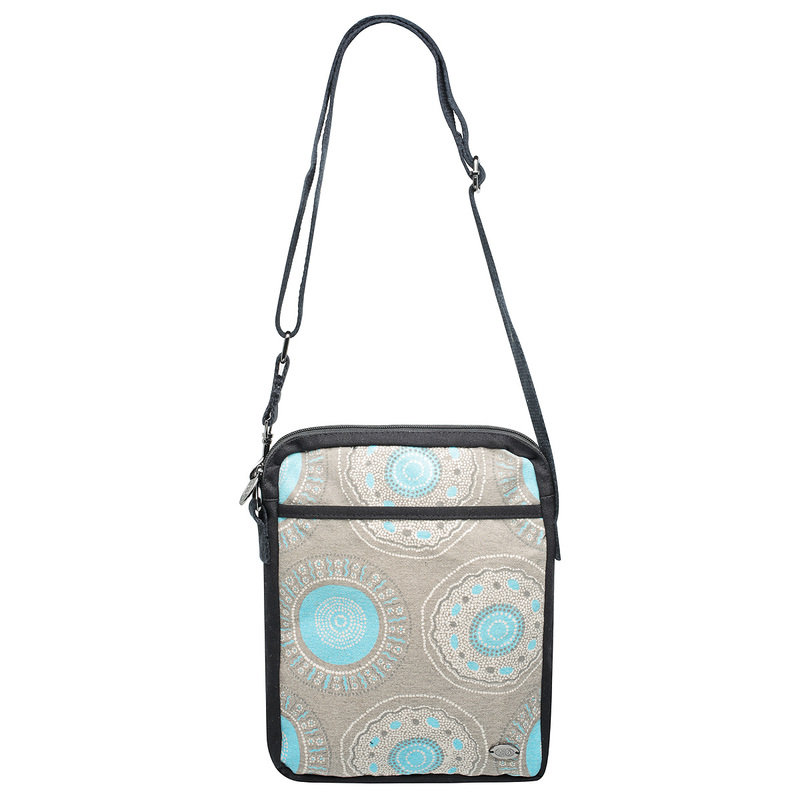 This Aboriginal print canvas travel bag is the perfect Australian gift. 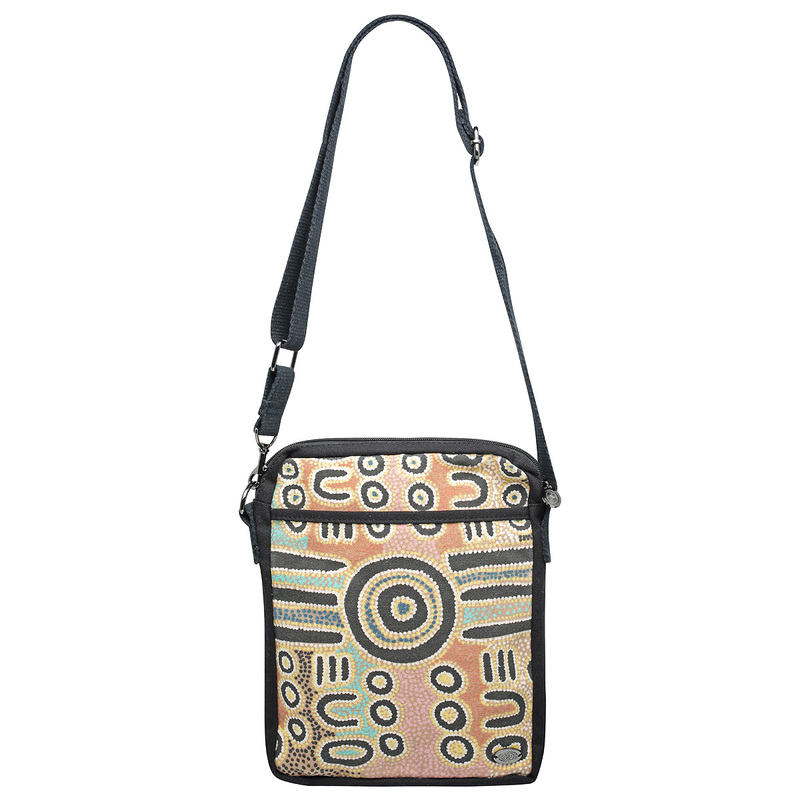 Made from 100% cotton canvas, it features a beautiful painting by Indigenous artist Biddy Timms called “Dreamtime Journey”. 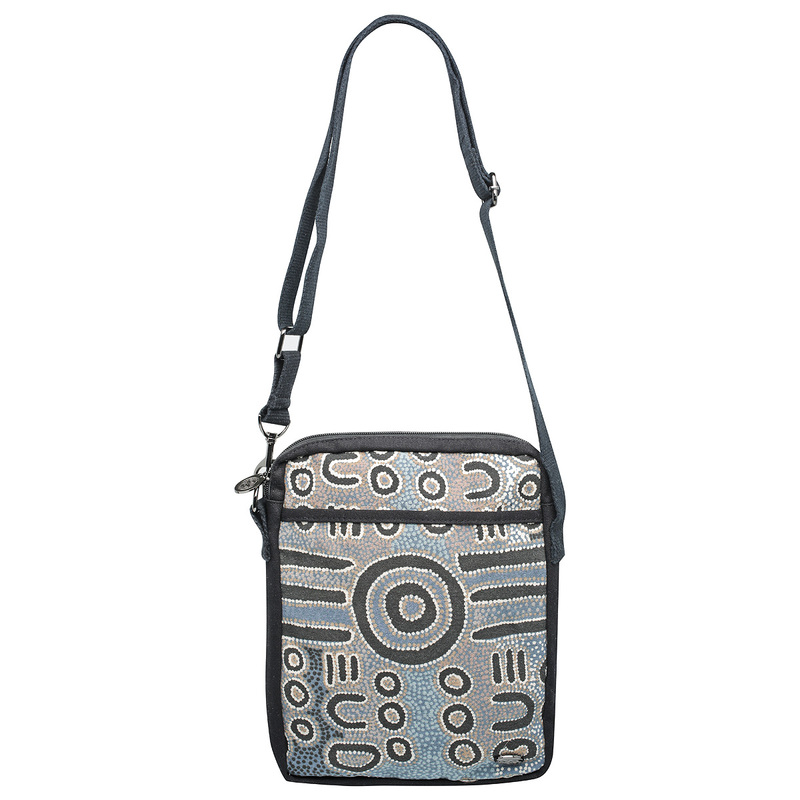 In blues, greys and black highlights it goes perfectly with jeans and and black, it’s the ideal souvenir from Australia.